A large part of India’s success as an economic powerhouse can be attributed to the growth of the Information Technology sector in the past two decades. This sector currently contributes close to 9.5% of India’s GDP and employs over 3.5 million professionals directly. In the coming years, this sector will see the emergence of new technologies such as data analytics, cyber security, gaming and animation etc. with high levels of creativity and innovation involved. The State of Telangana aspires to be a front runner in embracing all these new and emerging technologies. 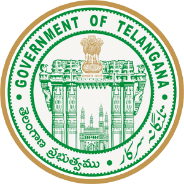 In addition to being a major IT center, Telangana has also evolved into a major cultural hub with a rich heritage in the areas of arts and crafts, dance, music, cinema, comics etc. and this heritage is now paving way for Telangana to become a leader in the entertainment industry. With the advent of digital technologies in this sector and a rapidly growing market, Telangana’s entertainment ecosystem is poised to become a national, and eventually, a global leader. The AVGC Sector is being encouraged and promoted extensively by countries like China, Singapore, UK, The Netherlands, Canada, Japan etc. These countries have also created infrastructure and ecosystems for the development of the industry, viz. Media City in Dubai (UAE) and Manchester (UK) and Dutch Games Gardens in The Netherlands. Additionally, companies have started to focus on improving quality and the creation of original Intellectual Property. In this direction, new business models have evolved in the marketplace, to successfully tackle current challenges such as piracy, lack of effective distribution etc., which has led to increased market penetration, and heightened awareness about the animation and gaming industry. The Animation & Gaming industry is a significant user of technology, and can further showcase India’s well-established credentials in the technology and services offshoring space, in addition to playing a seminal role in developing India’s domestic media and entertainment industry. Make Hyderabad the most favored destination for investment in Animation, Visual effects, Gaming & Comics sector. Encourage and support appropriate manpower development, infrastructure development and business development. Spread awareness and create employment in the Animation, Visual effects, Gaming & Comics sector. Attract global majors and R&D companies in Gaming, serious gaming, Animation and serious animation into Telangana. Facilitate a legal framework for ‘IP’ creation andits protection. Setup a “Center of Excellence” i.e Telangana Animation and Gaming Image City, with state of the art facilities to act as a catalyst for the Animation, Visual Effects, Gaming & Cm=omics Sector.